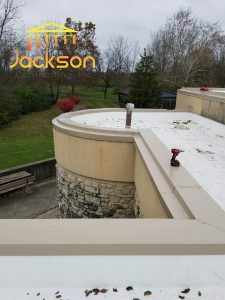 Commercial Roofing Indianapolis | Jackson Contracting Inc.
Do you need repairs or installation for your building’s commercial roof system? 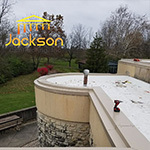 For a commercial roofer, you can rely on Jackson Contracting, Inc., who have thorough training and years of experience. Our roofing contractors have a wide range of experience working with different roofing types, so we can effectively help you with everything from roofing repairs to roof installations! We carry commercial roofing types such as metal and rubber roofing, to provide you with a high-quality roofing system. When you are in the market for a roofer, you want to be able to hire someone who has the knowledge and skills to handle any commercial roofing service. Fortunately, all of our roofers are certified and trained to perform any repairs or installations that you need. Our goal is to provide customers with the best services and we are confident we are able to do that with our commercial roofing. 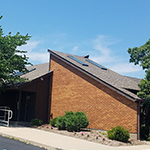 If you are looking for a reliable commercial roofing company in Indianapolis, IN that provides high-quality services at an affordable cost, call us at 317-214-8124 to get started! 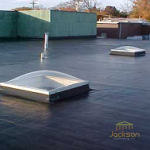 Jackson Contracting Provides Commercial Roofing in Indianapolis, IN. At Jackson Contracting, we are committed to providing our commercial customers with high-quality services they can count on. We offer many commercial roofing services, from installations to repairs on commercial roof materials that are durable, affordable, and effective. From commercial metal roofing repairs to installations, our roofers can handle it all! Call us today and we will make an appointment for whatever commercial metal roofing service you need. Interested in rubber roofing for your commercial property? Call us today! 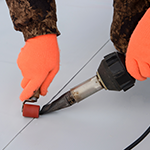 We provide rubber roofing installations, as well as repairs, so we can be a one-stop roofing service for you! Whether you need repairs or installations, we are the asphalt shingle roof experts to call! Let us schedule an appointment to get an asphalt roof installed on your commercial property! If your commercial flat roof needs to be replaced join the hundreds of building owners who see retrofit roof systems as a cost-effective, long-term option with many benefits. Is your commercial roof underperforming? 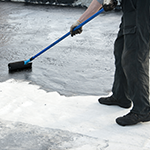 A roof coating can prolong its lifespan and improve its performance without requiring a roof replacement. Are you interested in any of these roofing systems for your Indianapolis, IN business? Or do you currently have one of these roofs and need repairs or maintenance? Look no further than Jackson Contracting for outstanding commercial roofing in Indianapolis, IN. Call us today at 317-214-8124 to set up an appointment that is convenient for you. 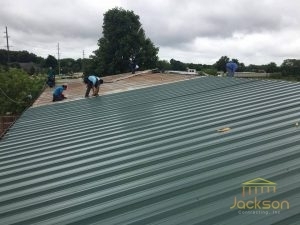 For reliable commercial roofing, you can count on Jackson Contracting. We have been in the roofing industry for a long time and we have what it takes to get you the commercial roof that you’ve always wanted. We can do this by hiring highly trained roofers, utilizing state-of-the-art tools and technologies, and using superior roofing from reputable brands. Our commercial roofers are experts in commercial roofing, so whether you need a repair, a replacement, or anything in between, we can help! Not only do we want to provide the best roofing services, we also want to offer the best customer service, as well. By hiring us, you are getting a roofing company that will go above and beyond for their customers in terms of roofing service and customer service. We are dedicated to being there for our customers every step of the way. Contact us now at 317-214-8124, to set up an appointment with one of our expert contractors. As a dependable commercial roofing company in Indianapolis, IN, we look forward to serving your business soon! Get Reliable Commercial Roofing Today!